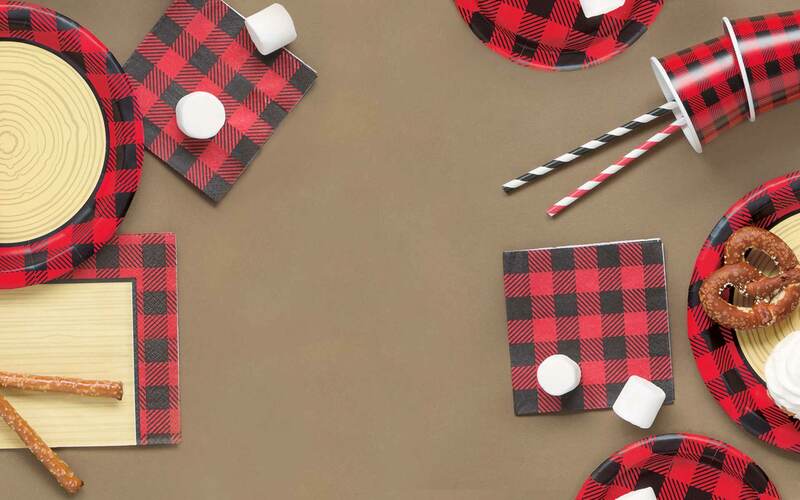 this warm, cozy buffalo plaid lumberjack pattern. 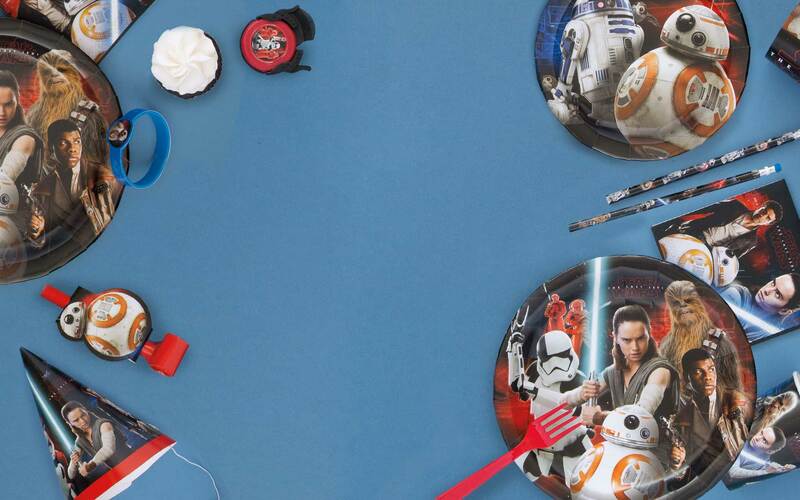 Star Wars, PAW Patrol, Emoji, and more! in trendy colors like coral, mint, and rose gold. 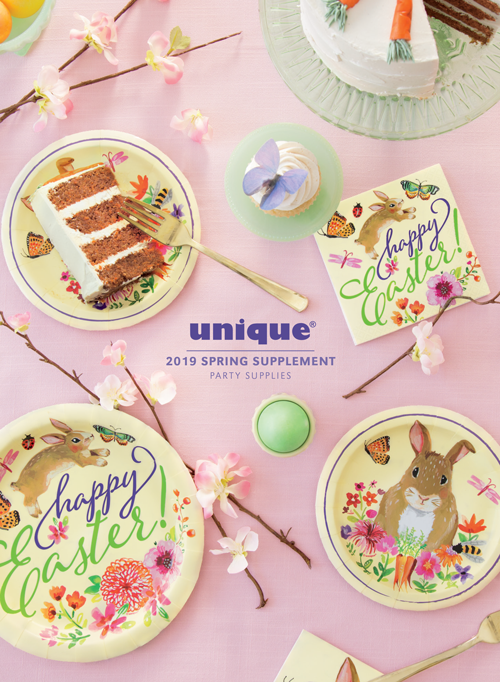 Unique Industries is an award-winning leader in the party supplies market with over half a century of expertise. With the trendiest party patterns, the most popular birthday licenses, and over 30 solid color programs, we serve our customers with the personal touch of a family-owned corporation. Our global distribution, extensive party catalog, direct import sourcing, and cutting-edge print capabilities make us a top choice for the world’s most successful party retailers. We invite you to get to know us and our products. 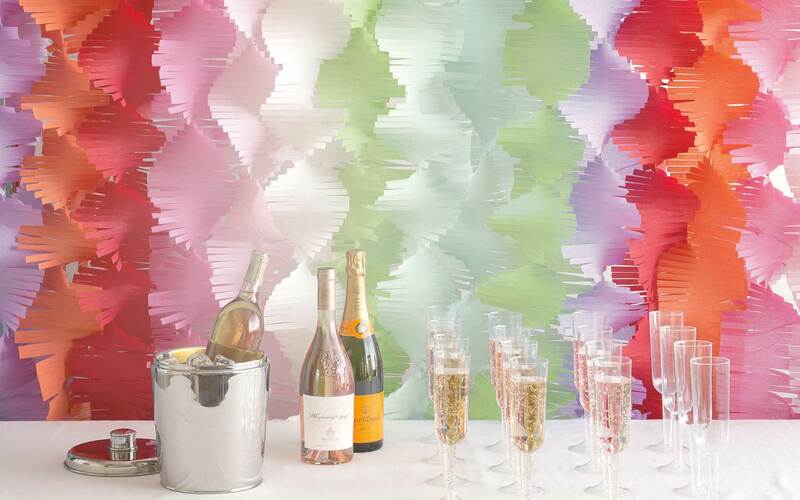 From tableware to piñatas, balloons to decorations, we help bring parties to life! Our 2019 main catalog features our new baby shower, Bug 1st birthday, and Llama party supplies. 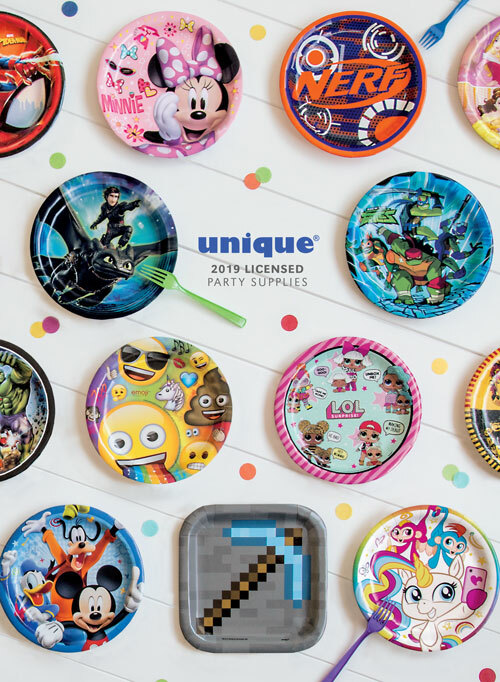 Hot new licenses for 2019 including LOL Surprise, Fingerlings, and Minecraft party supplies. 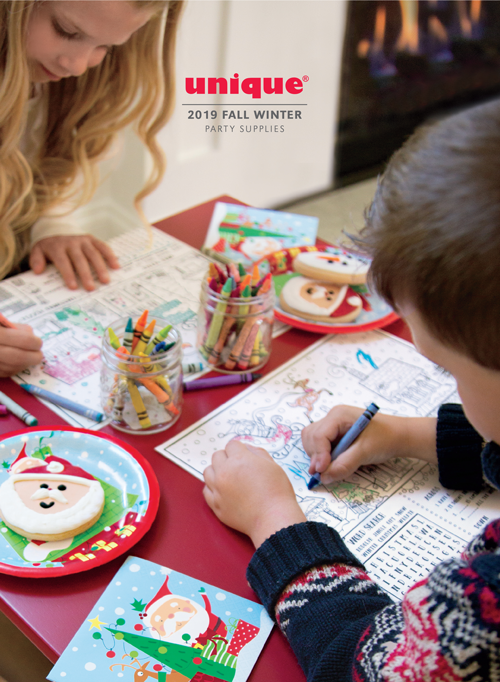 Whether it’s time to trick-or-treat or deck the halls, sweeten up the season with our 2019 Fall & Winter party supplies. Shop our latest spring party supplies to get ready for Easter, graduation season, 4th of July, luaus, and more. 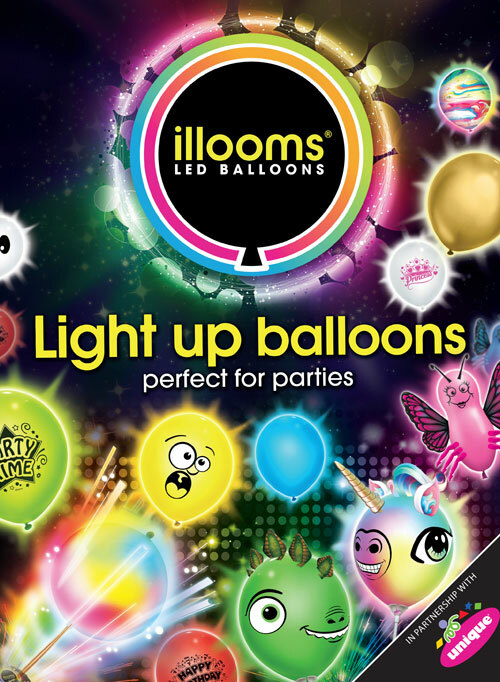 Through our partnership with illooms® we are able to offer a wide range of themed and solid LED light up balloons. Get ready for Valentine’s Day, graduation season, 4th of July, and more with our summer party supplies. As a party retail customer, a licensor, employee, or distributor, we invite you to join the party! At Unique Industries, we strive to bring our party customers the best in product development, licensing, manufacturing techniques, and customer service. 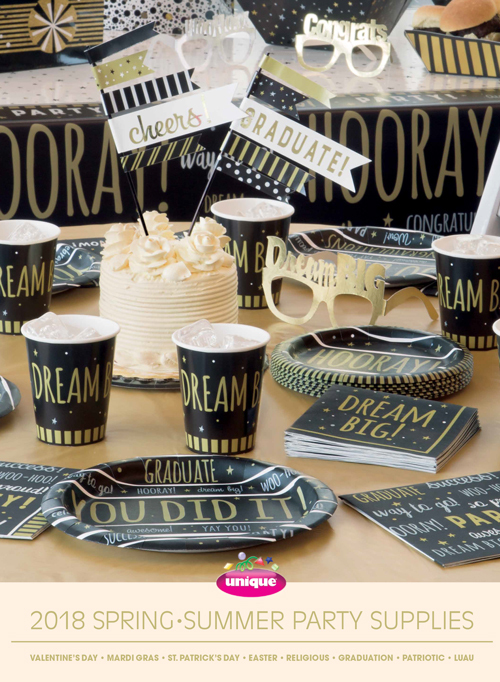 We take pride in knowing that our USA-manufactured paper tableware, and globally manufactured and sourced party supplies meet the highest quality standards. Our extensive distribution network spans the globe, reaching the world’s largest retailers, distributors, and even start-up individual party stores. At Unique, we’re proud that our brand recognition challenges us to continually innovate. We offer tableware in over 30 solid colors including foils, neon, and the newest colors and shapes. In addition to offering classic and on-trend designs for birthday, holiday, and special occasions, we also develop dozens of new licensed brand party patterns every year. We partner with a number of licensors including Disney, Marvel, Lucas, Universal, Nickelodeon, and Hasbro. Though we’re based in Philadelphia, we have offices in five countries. These teams source and manufacture our enormous selection of catalog items, as well as private label products in large and small print runs. 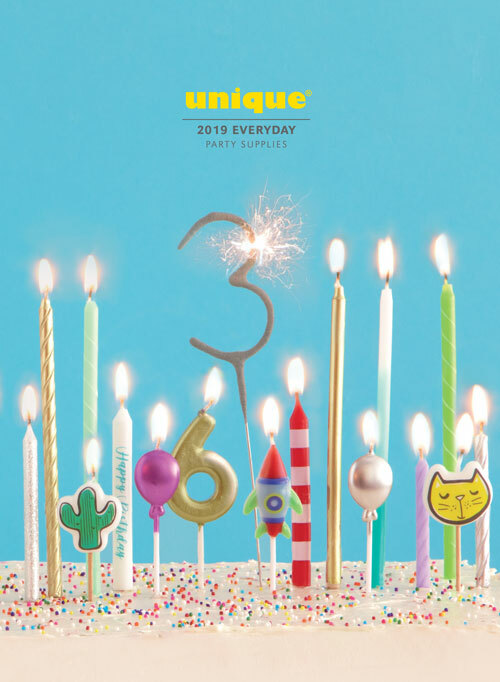 We invite you to celebrate with Unique, an award-winning leader in the party goods market for over half a century!